I picked up one of these at a swap meet recently. I spent a lot of time trying to find information about this radio on line to no avail. 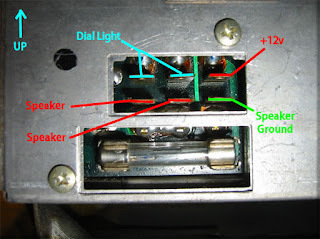 It took me a while to figure out the pinouts of the radio connector. So you don't have to spend the several hours trying to find it, here are the pinouts. The metal case is ground for the 12 volt supply.